Codenamed S201, the upcoming Maruti Suzuki Vitara Brezza rival is all set to be christened on December 1, 2018, and is based on the SsangYong Tivoli compact SUV. Having introduced the Alturas G4 SUV just last week, Mahindra & Mahindra is all set to unveil its next SUV for the Indian market and will be revealing the official name of its new subcompact SUV soon. 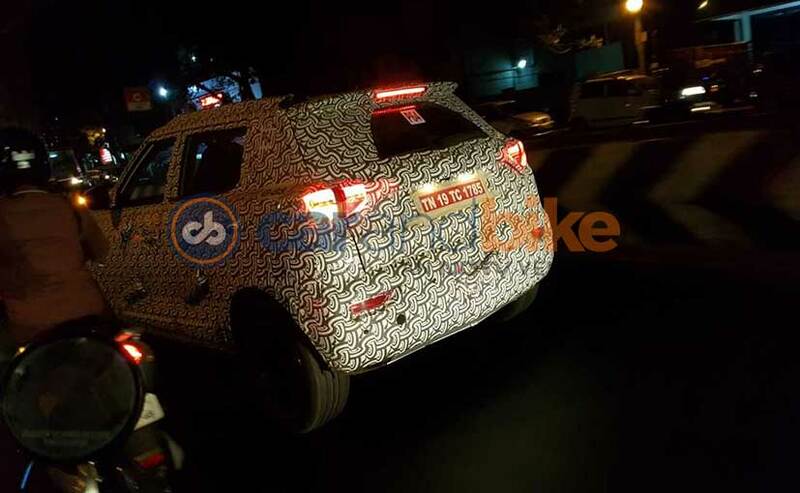 Codenamed S201, the upcoming Maruti Suzuki Vitara Brezza rival is all set to be christened on December 1, 2018. The all-new offering is an eagerly awaited one and is in fact the second SsangYong-based model to go sale in the country. The Mahindra S201 is the Indian automaker's derivative of the SsangYong Tivoli and will be a premium urban offering loaded on tech. Apart from the Brezza, the S201 will also lock horns against the Ford EcoSport, and will be positioned above NuvoSport and TUV300 subcompact SUVs in Mahindra's stable. From the host of test mules we've seen in the past, the Mahindra S201 will be identical to the Tivoli in proportions while getting the Mahindra touch with respect to styling. Expect to see the Mahindra family grille, large headlamp cluster with projector lens and LED daytime running lights, diamond cut alloy wheels, LED-combination taillights and a roof mounted spoiler. Inside, expect to see a host of features including a touchscreen infotainment system with Apple CarPlay and Android Auto, navigation, automatic climate control, multi-function steering wheel, and more. The subcompact SUV is also expected to get both fabric and leatherette seat upholstery options. A dual-tone colour scheme for the cabin is likely and so are features like start-stop button, cruise control, reverse parking camera with sensors, dual front airbags with ABS and EBD as standard. Powertrain options are likely to include the new 1.2-litre G80 turbo petrol motor that will be available right from the start, alongside the 1.5-litre diesel. Both engines will come paired with a 5-speed manual gearbox while an AMT unit is also likely. While Mahindra chooses to end most of its car names with the letter 'O', the company did choose otherwise with the newly launched Alturas G4. Will the strategy remain the same for the new S201 or will we get another vehicle sporting a different name? We'll find out soon.